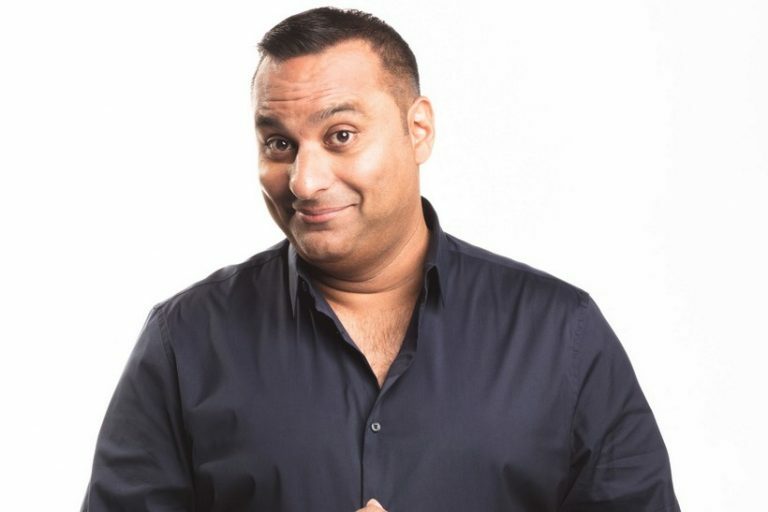 A man that needs little introduction, Russell Peters is quite simply one of the world’s – if not the world’s – biggest comedy superstar. He sells out arenas in minutes, he’s permanently on Forbes’ highest-earners list and he’s got a collection of awards to fill a warehouse. The Canadian is a master of observational comedy, impersonations, lightning-fast improv and crowd work, which is a highlight of his set. Ribbing the audience is his forte, and if you’re anywhere in the first few rows, be prepared to have a chat with him and possibly get roasted in doing so. Although racial stereotypes and cultural contrasts are a mainstay in his sets, he’ll highlight his opinion on a wide array of topics, including mobile phones, dating and more recently, fatherhood. Deported Tour Indeed, his seven-year-old daughter Crystianna (from his first marriage) informs much of the material in his new show, from fielding questions he’s not prepared for as a father to juggling family and work. By all accounts, the overall feel of the show will be a much more personal one than we’re used to from him. Beyond that, anything could happen and like all his previous tours, he’ll be tailoring each show to the city he’s performing in. There’s no real preparing for it, especially since a good chunk is off-thecuff banter with the audience.